On show at Sol Koffler Gallery – Rhode Island School of Design. The exhibition ‘How do we pronounce design in Portuguese? 2000-2018’ is on show at Sol Koffler Gallery – Rhode Island School of Design from the 6th June to the 3rd August 2018. What is the meaning of “being Portuguese” in contemporary material culture and global market? And to what extent does the development of national production pass through the work of our cultural matrix? To debate these questions MUDE organised in 2014 the exhibition How do we pronounce design in Portuguese? looking at national design from 1950s to the present, with particular emphasis to the period after 1980. The goal was to understand how the geographical and political circumstances of Portugal, the historical heritage, culture and traditions, as well as the concepts of place, belonging, identity and memory have been influencing the theory and the practice of design. Giving a particular attention to traditional production sectors, such as cork, wood, glass, crystal, porcelain, textile, three strands of interconnecting readings are outlined: Predominance of Form over Ornament; Practical Intelligence and Sensibility to Materials; Between the Popular and the Erudite. 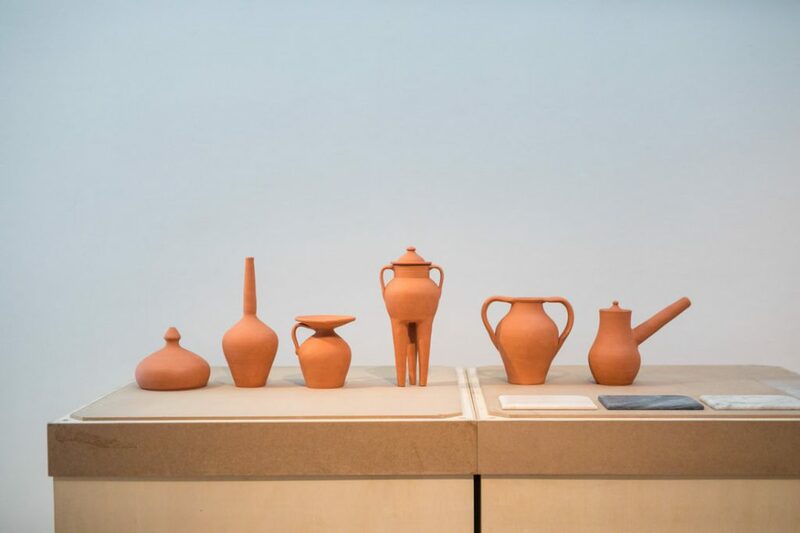 The exhibition was previously presented in Beijing, Madrid and Chaux-de-fonds with different configurations. At RISD the exhibition presents works from 2000 and 2018. The selection stresses proposals of the youngest generations of designers that made their degree in various schools in Portugal or works that result from different collaborative processes. In furniture, fashion and accessories, decorative objects or jewelry the exhibition shows how designers have been pursuing to recreate traditional materials, techniques and manufacturing processes, paying particular attention to the economic, environmental and social sustainability. The intention is to show how they trigger a reflection on design and our relation with things. For more information, visit the event page on MUDE website. Image courtesy of MUDE, all rights reserved.